Our adventure started while we were at the Sobhengu timeshare on the Nibela Peninsular, Isimangoliso Wetland Park, KZN – very close to Phinda. 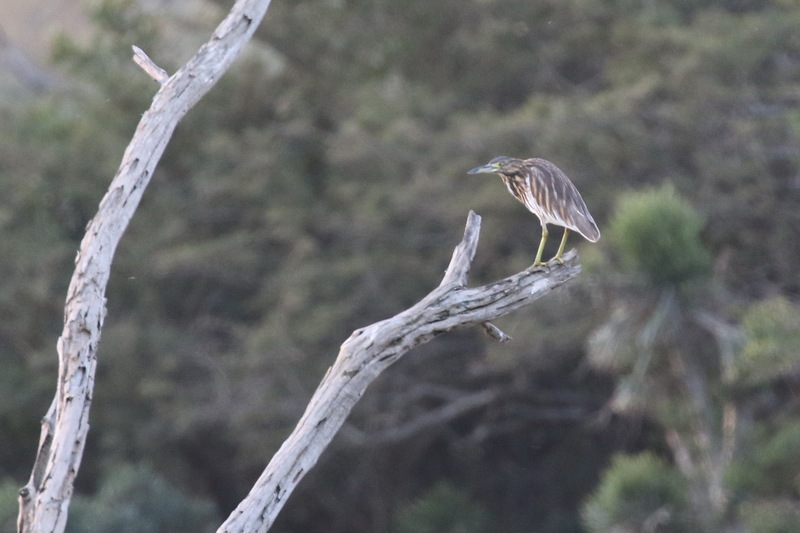 We received Trevor Hardaker’s report that a Malagasy Pond Heron had been seen at Mziki in Phinda. We followed Trevor’s reports each day hoping that arrangements would be made with Mziki to see the bird before we headed home. 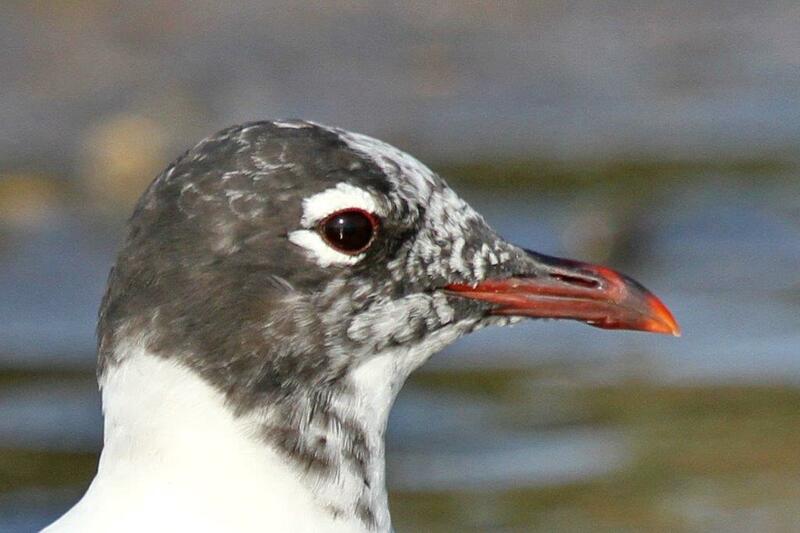 It was only when we got home to Howick that arrangements were made for keen birders to gain access to see the bird. Sally and I decided to go. 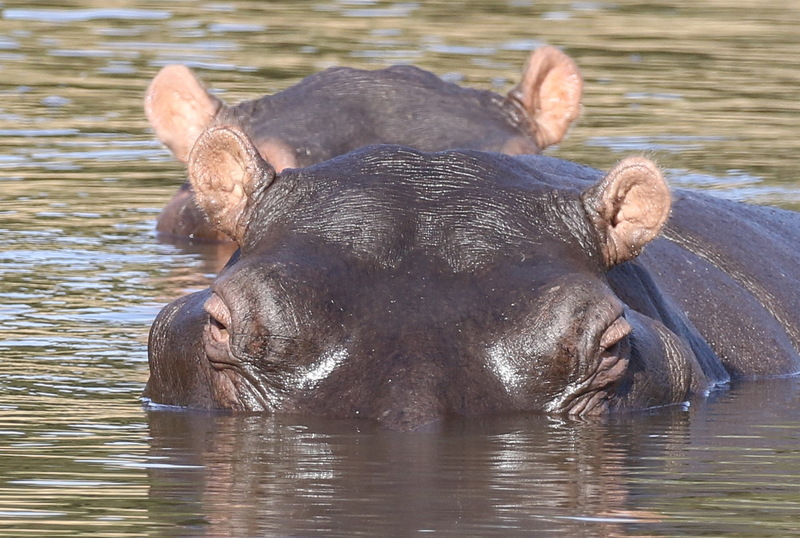 We made a booking for the Wednesday afternoon game drive. Then we called several friends to see if they wanted to join us to make up the numbers. We got one taker. 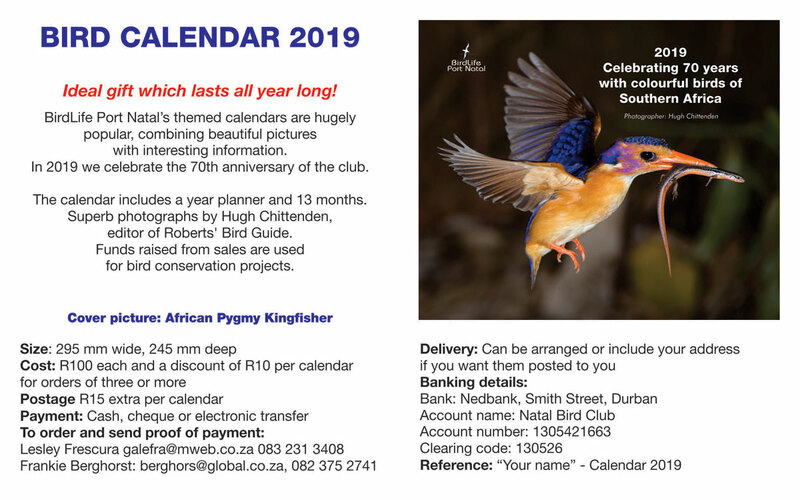 So I put out a message on SABirdnet and on the BirdLife Port Natal Facebook page. The phone never stopped ringing and within minutes we had a full vehicle – 7 people in all. Janice and Mike Isom, Nicky and Tiki Forbes, Cecil Fenwick and ourselves. Yesterday we drove all the way back to Hluhluwe, booked into the Fever Tree Lodge where we planned to spend the night. And then on to Phinda, reaching their gate well early. To get to Mziki was a further 12 kilometres driving through Phinda’s game reserve and slowly enjoying the nature sightings along the way including a White Rhino and baby. 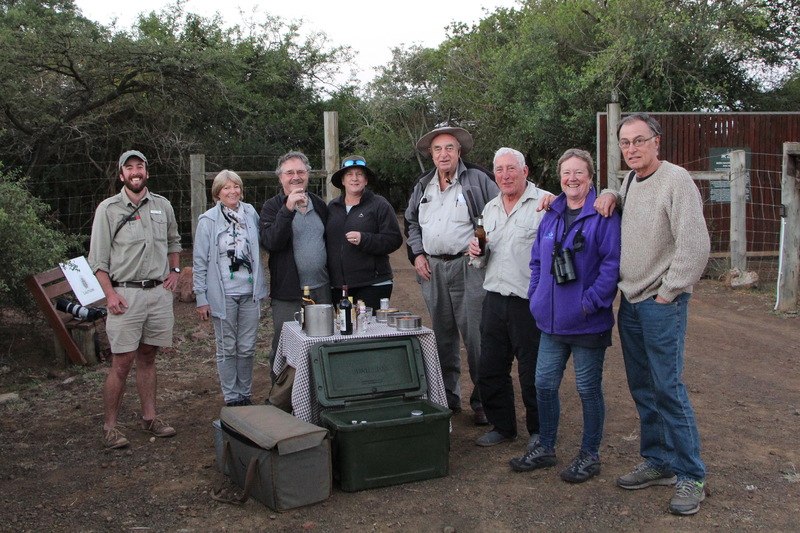 In seems that our party all had the same idea and we all arrived at the Mziki gate at more or less the same time – and hour and a half before the game drive. Our game drive vehicle was ready for us at 14h00 – Brendon and Johan our guides. We set off for the wetland area where the bird had been seen regularly. We were told that they had had a 100% hit rate so far. I think we were all worried by that statement. First area – no luck. Round the other side – no luck. To the other end of the wetland – no luck. Process repeated and another area visited – still no luck. 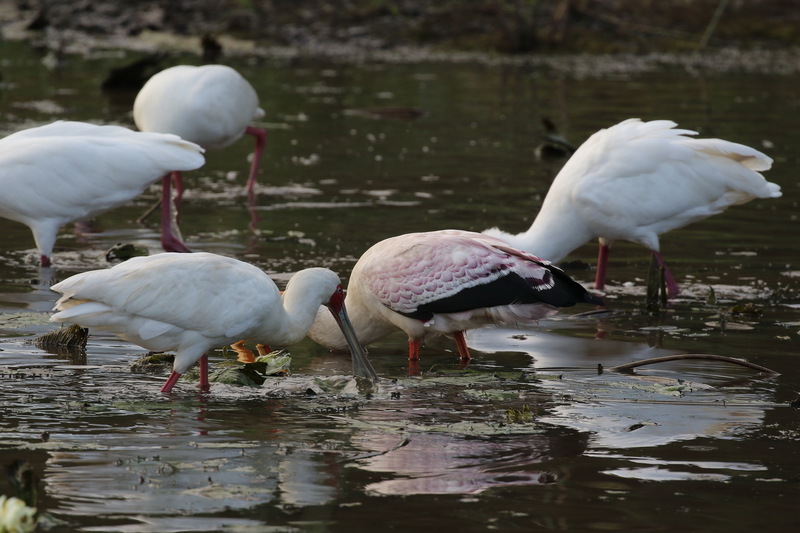 Thought we had a chance in one small pond where there were many African Spoonbills and a couple of Yellow-billed Storks fishing. – no luck. Despair starting to set in as night drew closer. So one more complete cycle and back to the start – still nothing and now it was time to head back. One final look, and as we start to leave Sally spots the bird right next to us. We all get a brief glimpse. Unfortunately it spots us and flies across to the other side in some deep reeds. What a lovely sighting of the bird in flight. Anyway, we drive round to where it went into the reeds and we vaguely spot it at the edge – well camouflaged by reeds of course. Again it spots us and flies across to the side where we had just come from, changes its mind and lands on a stump in the water. Great views but poor light for photography, however we manage some shots. It flies to another dead tree kicking off, in no uncertain terms, a Cattle Egret which was roosting and settles there. It is a bit further away and we suspect that is where it wants to roost so we left it alone and headed back to the cars in the now gloomy light. At the cars we enjoyed a few drinks and snacks laid on by the Brendon and Johan. We were all elated and the guides relieved. Sally was the most popular person amongst us. Well done Sally. 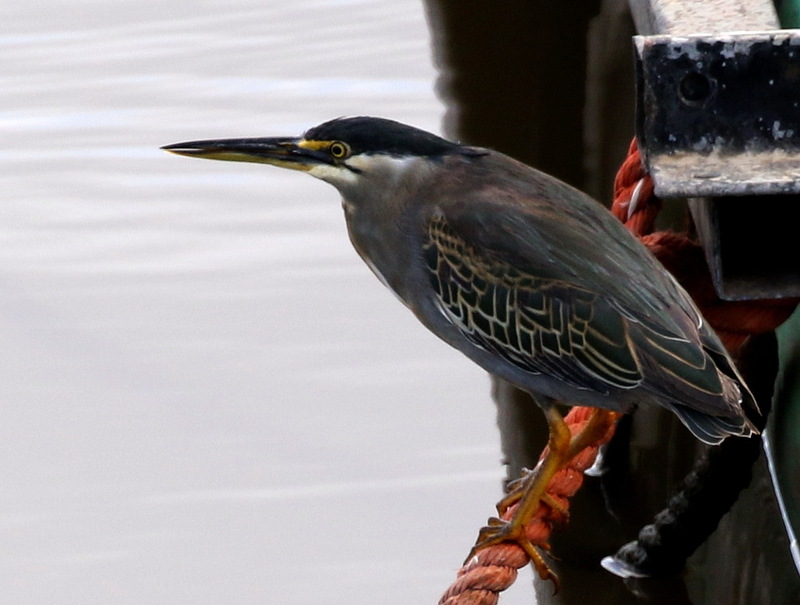 This entry was posted in Home, Posts and tagged Malagasy Pond Heron., Mziki. Bookmark the permalink.